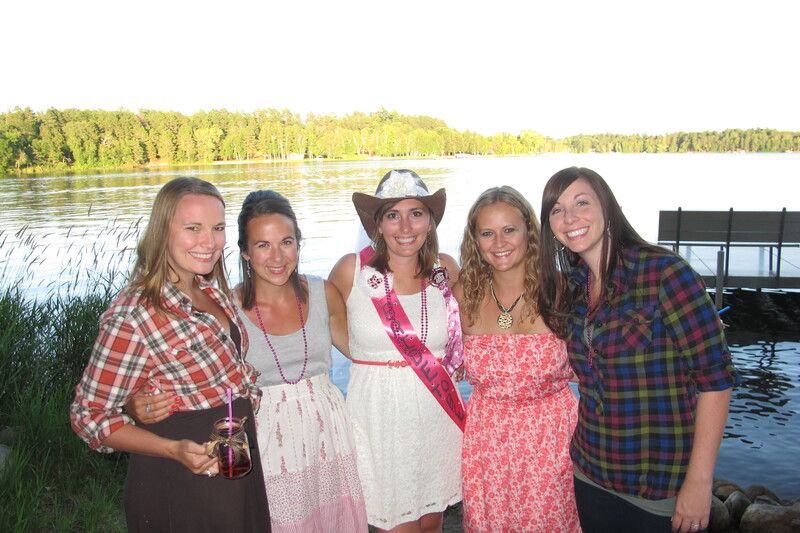 I traveled to Minnesota last week to help host my friend Sarah’s country-themed bachelorette party up at her cabin over the weekend. 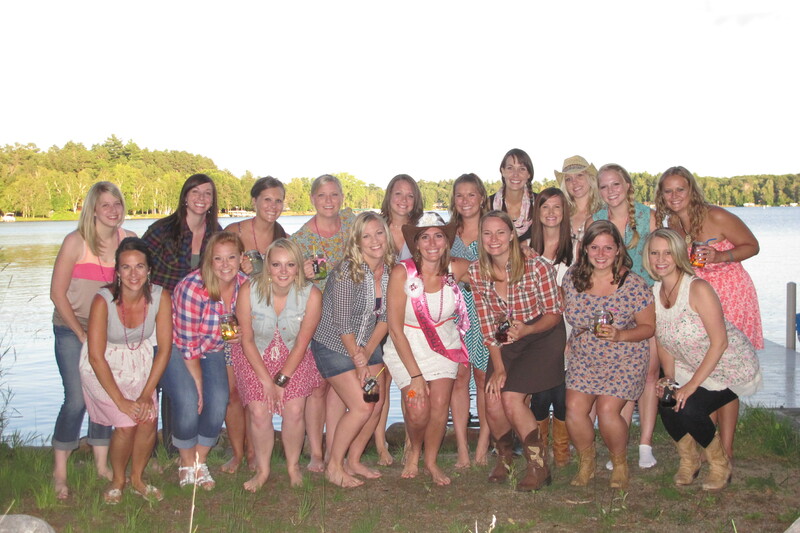 We had a great time celebrating the bride-to-be and can’t wait for the big day on 9.28.13. 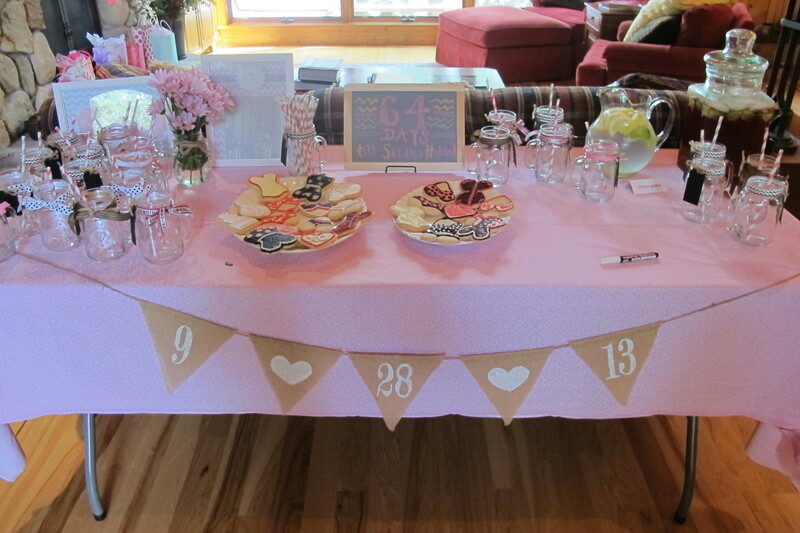 The welcome table was decorated with country accents and girlie cookies. 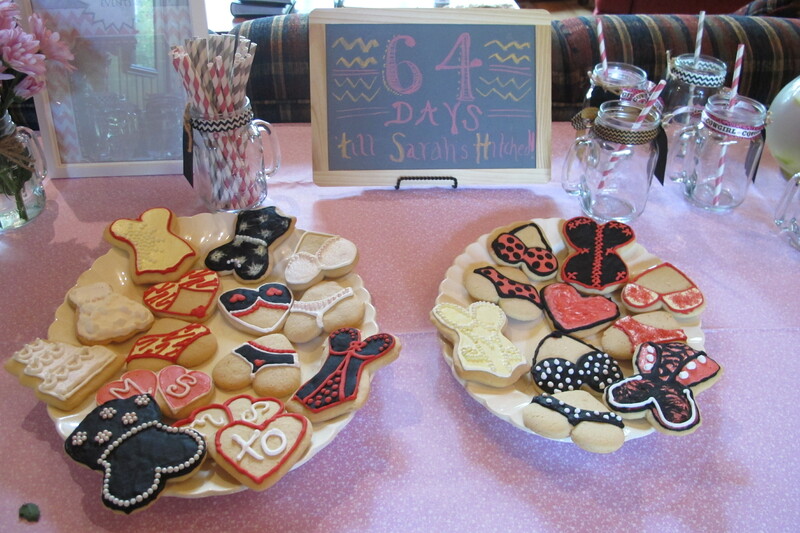 Sarah’s future sister-in-law decorated these beautiful cookies. 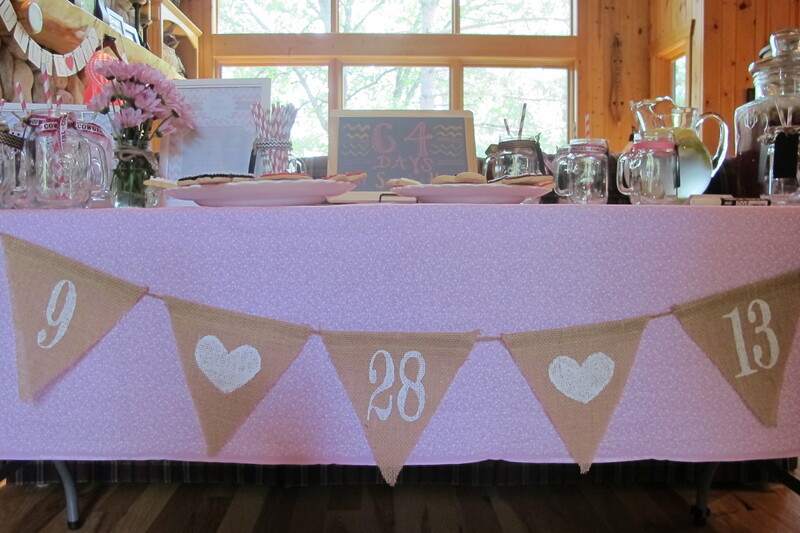 Adorable bunting with their wedding date. “Bride” tank top for Sarah to wear and a “Mrs. Letich” hanger – maybe for her dress?! 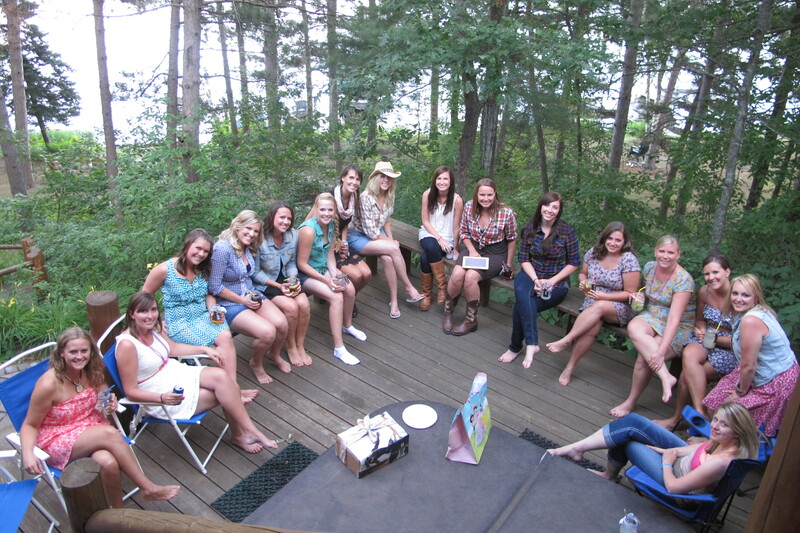 Sarah and her 20 closest friends. 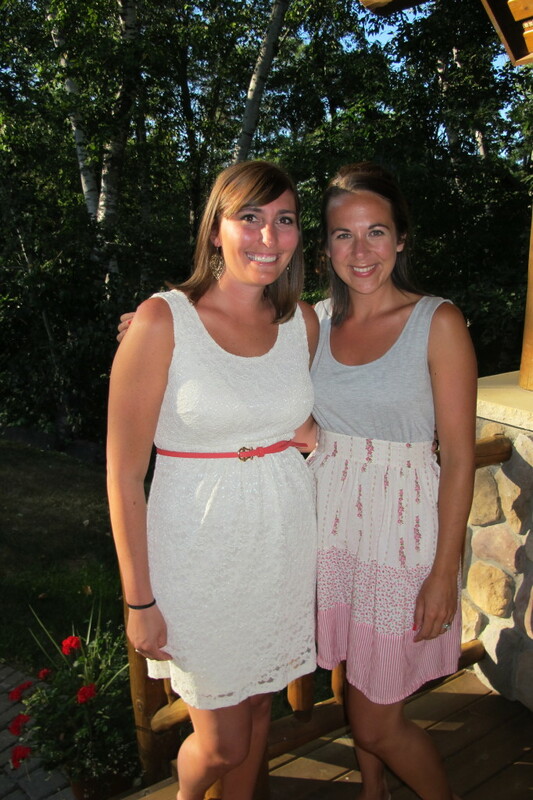 Maht girls minus Cammy and Molly who were missing from the photo. 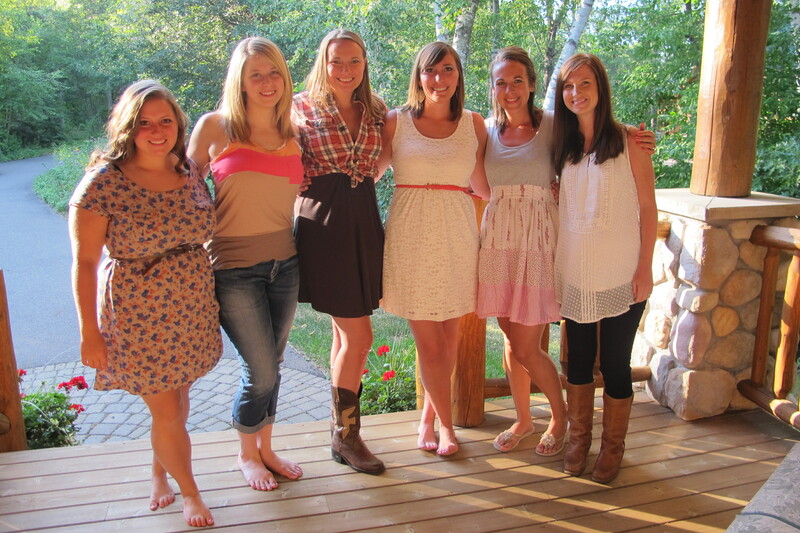 The whole group of girls. Out for the evening at the townie bars! What a great time. 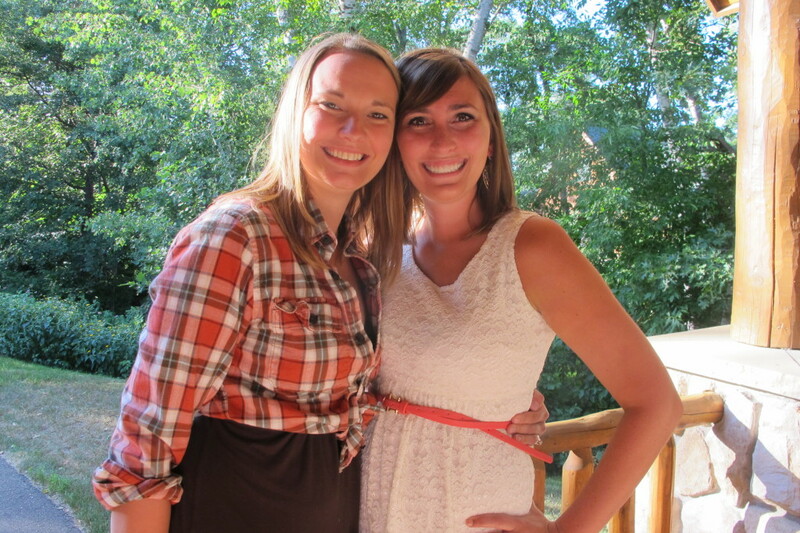 It was such a pleasure to be there with Sarah to celebrate her upcoming wedding! 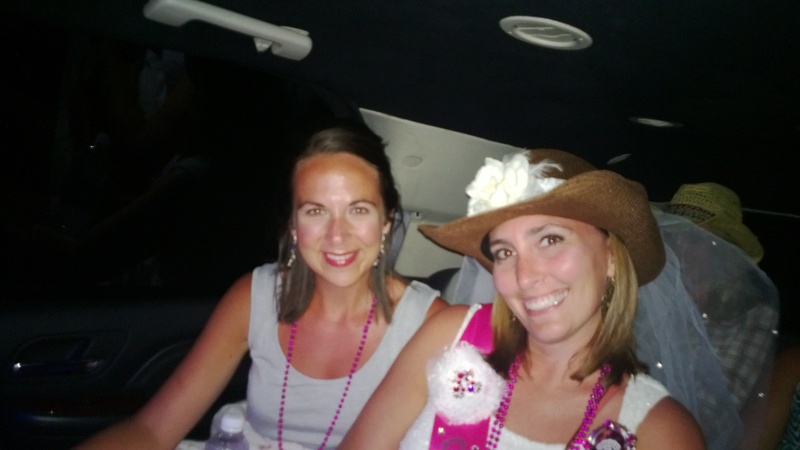 This entry was posted in Friends, Fun, Travel and tagged Minnesota, weddings on August 6, 2013 by Alison Allen.